The transitional age youth (TAY) Wellness and Recovery Center, or TAY Tunnel, is a community-based drop-in center focused on the unique needs of the TAY (ages 18-25 years old) population who are recovering from mental illness and often substance abuse issues, and are also at risk of homelessness, substance abuse, incarceration and increasing severity of mental health issues. The program is a portal for service access, by offering supports commonly utilized by young adults with a serious mental illness without the pressure of enrolling in services. It is located in Oxnard, and outreaches to underserved TAY throughout the county, offering an array of on-site supports and referrals to TAY who historically have not accessed services through the traditional clinic system. The TAY Tunnel also provides supports for TAY as they transition out of other mental health programs on their journey of wellness and recovery. The TAY Tunnel was developed and is run by peers who support members in the design of their personal recovery plan and in creating a set of goals that are meaningful to them. This program is contracted to Pacific Clinics. In the 2015/2016 fiscal year, The TAY Tunnel continued to grow, serving over 253 individuals who visited the center for information and support. 89 of these young adults became TAY Tunnel members. The TAY Tunnel was successful in connecting 47 individuals to employment and assisted 75 homeless TAY with housing and intensive case management. The TAY Tunnel provides a drop in young-adult friendly environment for those who have experienced mental health and/or substance abuse issues. Supports are provided by peers and offer resources to community supports. Weekly classes are offered including; wellness and recovery; mindfulness, life skills, physical wellness, diversity and awareness; parent education and support groups. 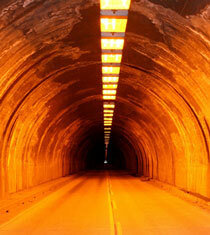 For more information, TAY Tunnel can be reached at (805) 240-2538, 141 West Fifth Street, Suite D, Oxnard.